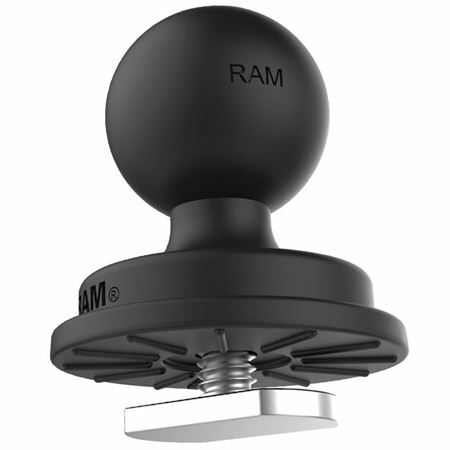 The RAP-B-354U-TRA1 by RAM Mounts is a Track Ball made up of a B size 1" rubber ball molded to a high strength composite base, a rubber friction washer and a stainless steel T-bolt for sliding into virtually any track system. Simply insert or slide the Track Ball into your track and twist the ball clockwise to tighten in place. Twist counterclockwise to loosen or adjust the ball.